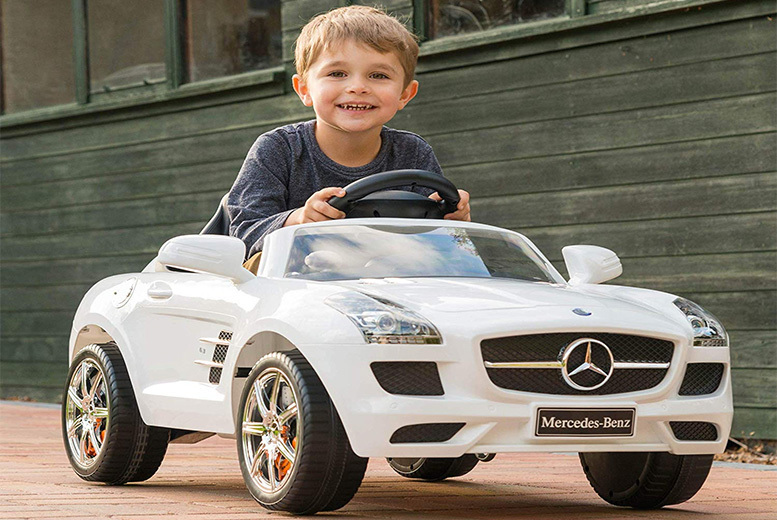 Get a Mercedes SLS electric ride-on car. With a working steering wheel, accelerator and reverse pedals, headlights and horn. Maximum speed of 2.5 km/h- perfect for letting your little one practice their technique! Easy grip handles and wide wheels. Size: 110.6 cm x 65 cm x 48 cm.